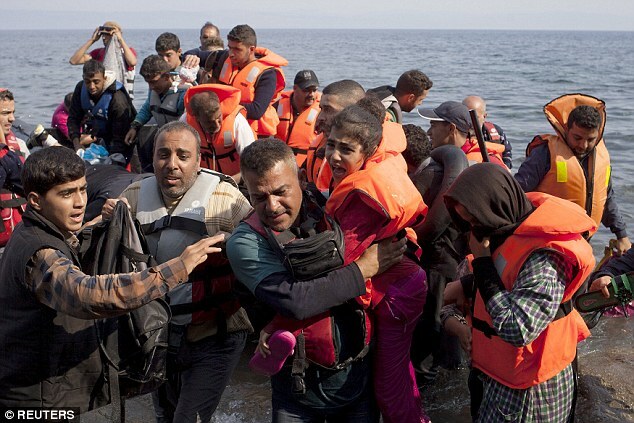 We’ve heard a lot about “vetting” Syrian refugees seeking entry into the United States over the last few weeks. Many people portray the process as so thorough and onerous that fears that terrorists might slip through the cracks in the company of legitimate refugees are implausible. The history of the San Bernardino shooters, however, should at least give some pause to those who confidently accept that our existing procedures can effectively screen out potential terrorists. The female alleged shooter, Tashfeen Malik, who had lived in Saudi Arabia and Pakistan, came to the United States on a “fiance Visa” after she and her husband to be, alleged fellow shooter Syed Farook, declared their intention to marry. She had to meet with consular officials, fill out forms, give her fingerprints, and have her information run through databases at the State Department and the Department of Homeland Security. After Malik was in the United States and she and Farook were married, she had to undergo additional background checks before she obtained her green card. These procedures are different from those that would apply to refugees, which apparently are more “strict.” Nevertheless, Malik made it through a significant vetting process — and ABC News has reported that the Pakistan address that she listed in her visa application doesn’t, in fact, exist. If you were an employer deciding whether to hire a new employee and the candidate’s resume or application included false information, that would raise a red flag. Why didn’t the vetting process in Malik’s case catch the fake address? That apparent lapse doesn’t exactly fill me with confidence about the bullet-proof nature of our vetting process. It’s always easy to question apparent security failures, after the fact — just look at the weird, red-flag-filled story of Lee Harvey Oswald in the years before the JFK assassination. In this case, however, scrutinizing the procedures used for Tashfeen Malik is not cheap second-guessing, but an entirely rational response. We know, from the unfortunate actions in San Bernardino and from the declarations of ISIS and other terrorist organizations, that radicalized people from the Middle East want to do us harm. The procedures we are using to screen people who want to come to this country obviously have to take account of that fact — and if we aren’t sure that those procedures work, we need to do something about it.